A spectacular menagerie of diverse and exotic destinations, your world is just waiting to be discovered - and there is no better way to explore it than on the elegant ships of Oceania Cruises. A spectacular menagerie of diverse and exotic destinations, your world is just waiting to be discovered - and there is no better way to explore it than on the elegant ships of Oceania Cruises. Oceania's unique itineraries are specifically designed to showcase the most fascinating destinations across the globe. As Regatta, Insignia, Nautica, Sirena, Marina and Riviera are all comfortably mid-size, each ship can call on the world’s most desirable ports; from historic cities to modern meccas, to charming seaside villages nestled along sparkling coastlines. 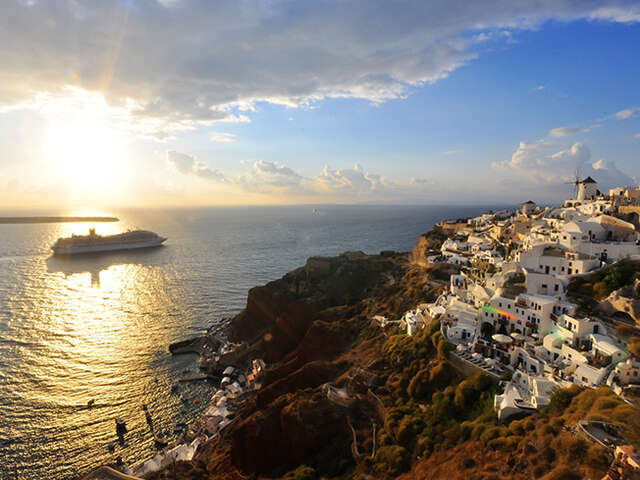 On a voyage with Oceania Cruises, each day offers the exciting opportunity to experience the history, culture, art and cuisine of a wondrous new destination.